Grape Chew Candy is another mouth-watering candy flavor from Candy Pop. It allows experiencing succulent grape candy flavor. Chewy candy that will satisfy your sweet cravings. Candy Pop Grape Chew Candy is another mouth-watering candy flavor from Candy Pop. It allows experiencing succulent grape candy flavor. Chewy candy that will satisfy your sweet cravings. Thanks to the perfect amount of sweetness, it is suitable for the enjoyable daily vaping experience. This e-juice has a 70VG and 30PG base. For this reason, vapers can enjoy an amazing cloud chasing experience. 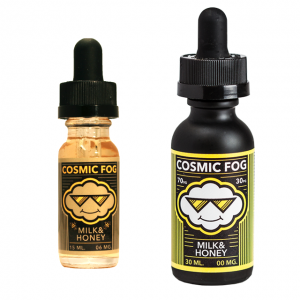 Different nicotine options are available to satisfy each vaper’s needs. 0mg, 3mg, and 6mg. You can buy Grape Chew Candy e-liquid in a 100ml chubby gorilla unicorn bottle. If you like candy flavors, sweet and chewy grape candy flavor of Candy Pop E-Liquid Grape Chew Candy is a perfect choice.